Well, the EMT came out from the house and he said all checked out. No CO2 in the house. He asked how old the detector was and I said it was at least 6 years old. Both EMT's said to buy a new one, a digital one. He reassured me that everything was fine in the house and my headache and the faulty detector just seemed to coincide at the same time. After the paper work, a little friendly talk like the one EMT owns the old apple farm at the top of the street & is the electrician for the vet I worked at, me apologizing for panicking, and them telling me that it was better to call then not and maybe not waking up and that if I ever need something to not hesitate to call. They get a CO2 call at least once a week they told me. Wanda and I watched them back down the drive with the lights flashing, and she gave me punch in the arm and a little lecture on to call her first so she doesn't have heart failure running across 2 acres to get to my house. I gave her a big hug and promised! About 10 minutes later my phone went off. It was a text from other neighbor. He is my single male neighbor and I take care of his dog because he drives for a living. He sent me a text wanting to know if I was okay and he left me a phone message. I thought that was odd because he said the day before he was going to be real late cuz he would be in West Virginia. I sent a text back wanting to know if he was home or how did he know what happened. He texted back that he was still in WV but his friend is a volunteer on the fire dept and when the call went in and the address came up, his friend called him. Single male neighbor was glad I was okay and to stop scaring him like that. Oh my, how news travels in little towns but it is so good to have neighbors like I do. Way too much drama for only the 18th of January! "Can you believe all the drama she is creating?" "And she tells us we've been cooped up to long and we need to get out and get fresh air." 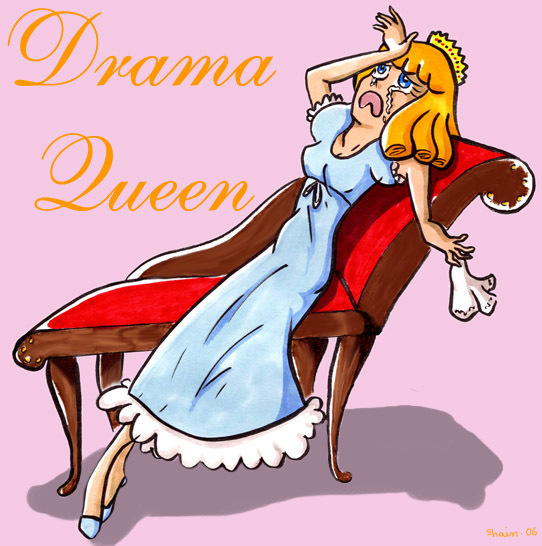 "Some nerve she has telling us we are drama queens when we lay an egg." "But then again we haven't laid any eggs in 2 months!!! Ha Ha!!" Well, you had ME convinced that you had a CO2 problem in the house! So glad you didn't. DO YOU HAVE A NEW DETECTOR YET??? Great story and good ending! Is dad buying you the CO2 dectector?? I am sure he is! I am very grateful that it was a false alarm and very excited that you listened to dad for once!! Oh My Word....you made my heart sink a little when I started reading your post. So glad you are ok and that you have good neighbors to lecture/worry about you. Take care and get that detector installed (virtual arm punch...lovingly delivered :O) ). I agree with the firemen ~ it's better to call and not need them than to need them and not call! Thanks lil' sis...you know how Dad can get when his girls don't listen to him! It must b a massive sinus headache as its centered over the bridge of my nose, like right between the eyes, I am sure it will end up as a nasty cold in a few days! Better be safe than sorry...you did the right thing. Glad there wasn't a problem, hope your headache gets better soon. If you have forced air, have you ever had your ducts cleaned? The extra dust in the air maybe messing with the detector and contributing to your headache? Very glad it was a false alarm. Scary to think what could've happened!!! That IS such an odd thing that the headache and the detector "came on" at the same time. It is very good that the ambulance came and checked you out. In our Town my lady just got notice that if the ambulance comes to your door that the bill will come to your door too as the Town no longer pays for it out of taxes. Gzeeek! I am glad that everything turned out to be fine. It is always nice to have neighbors who care. Unlike some ppl who do not care at all. My father lives in a apartment building and he is a truck driver so he is gone most of the time. Well in day light some one broke into his apartment and stole a 52 inch tv a few dvds his dvd player and no one saw a thing. That is just crazy! Yikes!!! Gotta love good neighbors though, eh?